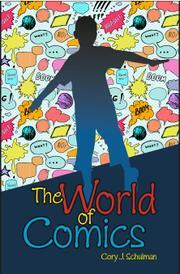 In this debut YA novel, a tween boy in the 1970s becomes obsessed with collecting comic books. In 1973, 11-year-old Barry Schwartz enjoys reading and drawing comics, especially The Amazing Spider-Man, but his true passion ignites when he discovers collecting them. Barry learns about condition, value, and the satisfaction of completing a perfect sequence—made possible through specialty comic-book stores, where he can find back numbers. Barry’s grades slip as he ignores homework in favor of his all-consuming fixation, and he doesn’t relate well to other kids: “I realized that my only friends were the Hulk on my bedroom wall and my collection of comics.” At nearly 13, Barry begins helping out at a comic-book store, where he learns much from older fans: “I absorbed the depths of facts, tales, and personal trials of the fringe adult world, a kind of cult bridging childhood with adulthood. This was my world of comics.” But strangely, after he completes his Spider-Man collection, Barry’s fervor fades. With girls and high school on the horizon, he becomes ready to leave one world and enter another. Schulman deftly delves into a subculture familiar to everyone today thanks to the ascendance of superhero movies and TV shows like The Big Bang Theory. Barry is fairly insightful about what draws him to comics and collecting—fantasies of power, a sense of purpose—but less about himself. He seems to blame having few friends on not fitting into any clique, but he is superior and cold, dropping buddies who don’t meet his collecting standards. Barry describes a comic-store patron as “hard on the eyes….Yet, she had the self-esteem to laugh giddily.” The idea that she should have to earn the right to laugh by being attractive says nothing good about Barry. His collecting often seems a chilly fanaticism as well. In the end, although readers may be sympathetic to his concerns, Barry isn’t a very appealing character. While this coming-of-age tale skillfully taps into nerd culture, the hero remains problematic.